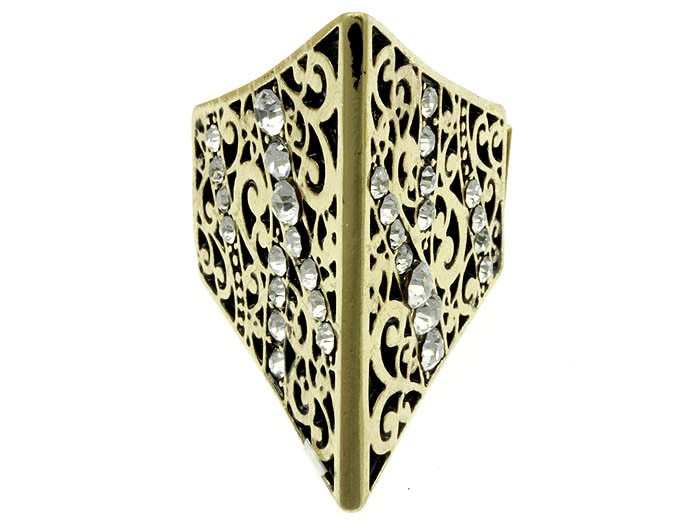 Massive and eye-catching, Kayla metal ring has gold tone and extraordinary angular shape. Its smooth surface has floral ornament and several rows of clear crystal studs. Perfect accessory for everyday wear. Spice up your favourite outfit with this lovely piece of fashion jewellery.